Today we’re looking at some of the best eye creams, balms and serums currently available. It’s a surprisingly controversial topic, eye cream, when you get into it. Many beauty experts, including The Guardian’s Sali Hughes, maintain that we don’t need it, and that its existence is mostly to sell more stuff in tiny pots. Personally, I like a targeted product. I don’t want to use my normal moisturiser around the eyes, hence I use eye creams every day. Just a tiny dot, tapped in with the ring finger is enough to moisturise and protect the eye area. Below are some of the best eye creams I’ve been sampling over the last few years. Why so many? Partly because I rarely buy the same thing twice, and partly because some of them were sent to me for review. Products marked with a * were sent in for review and I have linked to the fuller review if you want to find out more. And I would love to hear from you if you’ve used an eye cream you think is a good ‘un. Avene PhysioLift Eyes* – This is a nice gentle but effective one to go for if you have very sensitive skin. French pharmacy brand Avene really are the experts for sensitive types. Use at night only, when it will work to lessen puffiness and dark circles. The unique “patch” texture mimics the skin, so that the active ingredients absorb all night long. Stratum C Eye Serum* – This eye serum is specially designed for forty plus skin. As you can see in my review, I got really good, noticeable wrinkle-reducing results with this. Highly recommended. Liz Earle Superskin Eye Cream – I tried this out for a week thanks to a sample sachet, really liked it and would definitely purchase the full size. It’s a silky blend of rosehip, borage and cranberry seed oils which brighten and reduce puffiness. I liked this much better than the Charlotte Tilbury Magic Eye Rescue Cream, which I also tried a sample sachet of. It didn’t absorb as well as other creams, and the perfume was too strong. CT left my eyes puffy in the morning, in contrast to the Liz Earle which just left me feeling moisturised and refreshed without irritation. Bee Venom Eye Serum by Nature’s Beauty – This bee venom-based serum was great for tightening and gave a noticeable lifting effect around the eye area. Good for day time use, though I prefer something more moisturising at night. Obviously avoid if you have any kind of allergy to bee stings. 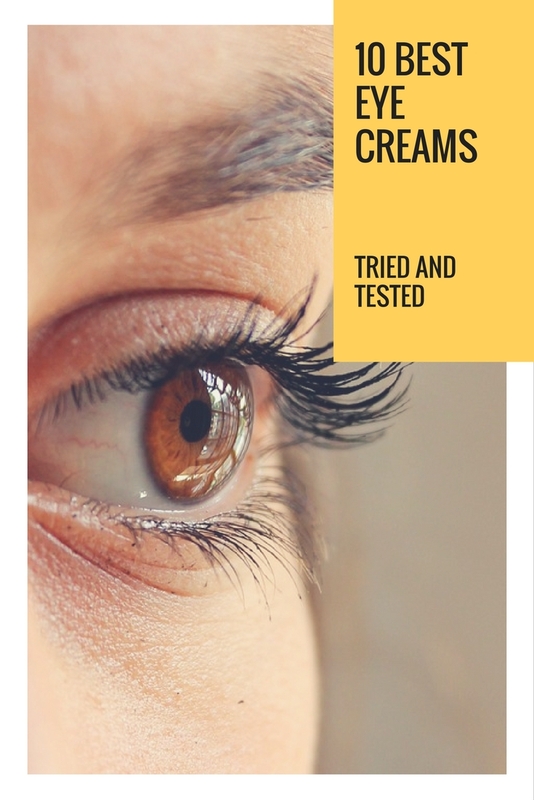 Purebess Galactomyces Eye Cream – This is a great one, and deserving of its cult following. Korean women tend to use eye cream all over the face, hence this tube is so much larger than any other eye cream. The star ingredient here, galactomyces, is a byproduct of the brewing process and incredibly effective at moisturising and renewing skin. The only down side to this is that since it’s a fermented product, it doesn’t smell great. Like a brewer’s armpit in fact. But the smell doesn’t linger. And it’s an utter bargain at around a fiver for 50ml. The History of Whoo Jinyulhyang Jinyul Eye Cream – At the other end of the spectrum, this is a luxury Korean product. It comes in an incredibly glam pot and retails around the £100 mark. I tried it out as a sample sachet – buying sample sizes is often the most affordable way in to luxury Korean products. Totally loved it and and truffling for more samples of this. 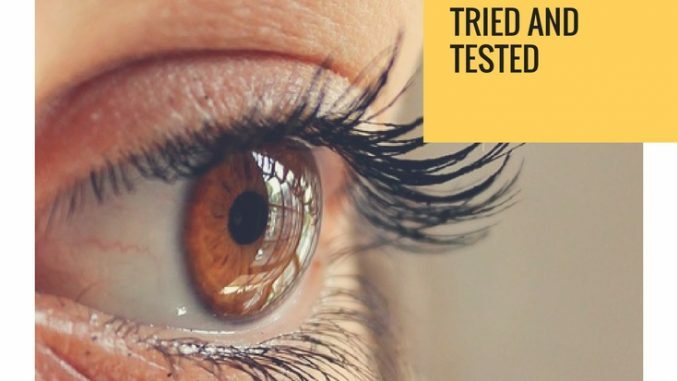 Indie Lee Calendula Eye Balm – I loved this brightening eye balm for about the first half of the jar, then it started giving me milia and irritating my eyes. I do think it’s a good product, but the jar packaging means that it’s more likely to pick up dust and irritants every time you open it. And that’s not something I want to risk for the eye area. I’ll be sticking to creams in sealed or small packaging in future. Eloquence Beautycare Firming & Moisturising Eye Gel* – I want to link this with the Embryolisse Radiant Eye* because both do an excellent job of cooling down and refreshing the under-eye area. If your eyes are dry and irritated thanks to hay fever, air conditioning or travel then these will sort you out. All of my household have been using these this summer. A handbag essential. Nuxe Eye Cream Prodigieux – This French pharmacy cream from Nuxe is what I’ve been using for the last few months, whilst dreaming of when I can go back to Paris. Contains the adorable-sounding Blue Everlasting Flower extract to hydrate the skin. It’s very rich, yet light. Apparently if you keep this in the fridge then it’s even better at reducing puffiness. Jan Marini Luminate Eye Gel* – I’ve only been using this for the last few days but I REALLY like it so far. Contains retinol, which you don’t often see in eye creams as it’s normally too much for the eye area. Also contains dimethicone, so it smoothes all around the eye area. It feels lovely to apply, like silk on the skin. Full review to come. UPDATE Here it is.